Please join us on Wednesday, January 17th from 11:30 AM - 1:00 PM at the Sweetwater Branch Inn for our monthly luncheon. Pam will be speaking about Small Business Expenses allowed, and "Proactive" tax strategies. She’s also passionate about the community. She lost her mother to domestic violence and has served on the Peaceful Paths Executive Board for six years. She serves as the Board Treasurer of the YMCA and has served on the board of the East Gainesville Development, Taste of Home, Non-Profit Center of North Florida, and the Volunteer Income Tax Assistance Program.to name a few. 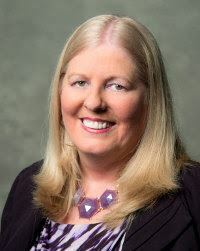 Her participation as past Chapter Director of LEADS Club, Diplomat with the Gainesville Chamber of Commerce, past Vice President and prior Educational Coordinator of BNI and graduate of Leadership Gainesville #36 demonstrates her strong belief in serving, nurturing, and developing our business community. Pam is licensed as a Certified Public Accountant in the State of Florida and an Enrolled Agent governed by the Internal Revenue Service. She has a Masters Degree in Taxation from Florida Atlantic University and a second Masters Degree in Accounting with Forensic studies. Pam is also Certified as a QuickBooks ProAdvisor for both the desktop and on-line versions of QuickBooks. She is a Forensic CPA (FCPA).